friday night me and max hunkered down, ordered in, and hid ourselves away from the world for a night in our teepee. max has never been a co-sleeper, but ever since our move has had a harder time detaching at night. one extra goodnight hug or kiss becomes a death-grip head lock with refusal to let go. with this guy it's a slippery slope...i slept with him the first few nights living here to get him acclimated and it set up a pretty cushy standard. long story short, he got a taste for sleeping with mama and asks for it pretty regularly now. to tide him over, i've been promising him we'd set up a special mama/max sleep over but wanted to do it up right. 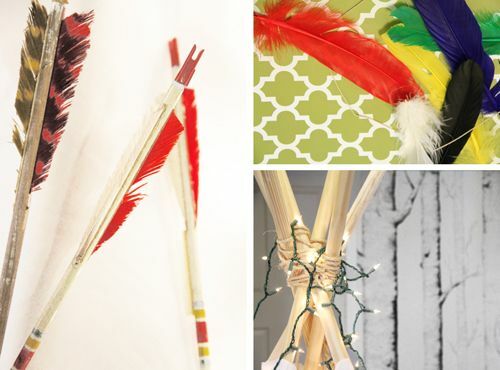 i found this online tutorial to build a teepee...it seemed the most feasible for me to do, only i used wood closet rods and rope instead. and so we teepeed! 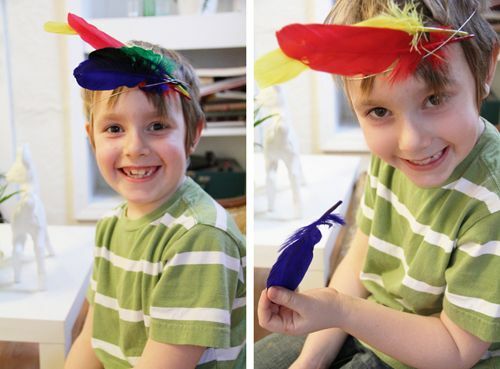 and, because i am who i am, i forced us to make feather headdresses and read cowboy and indian books. max isn't much for themes, but humored me anyway. 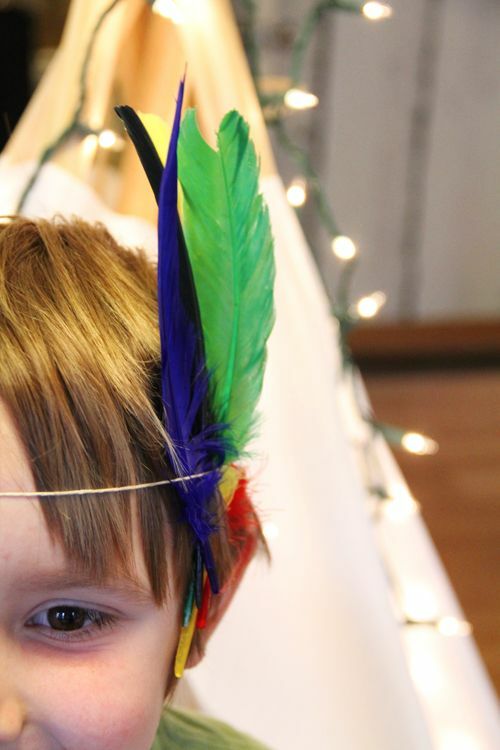 we started downstairs then decided to migrate our tribe up to his room...which you can imagine how silly i looked trying to take an assembled teepee up a flight of stairs. there was no way i was taking that thing down after it took me forever and a day to get it to sit up straight. plus i wrapped at least 500 feet of rope around the top. 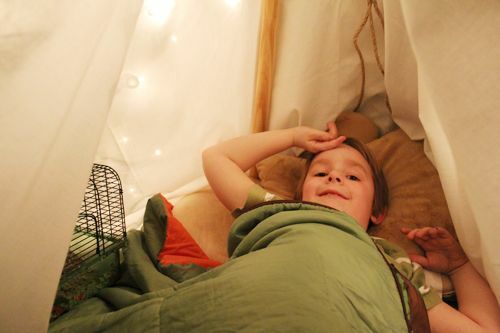 when it came time for bed, max told me he would rather sleep alone but asked if i could lay outside his teepee for a little while. i guess there is just as much peace in knowing you have the option as there is in actually acting on it. so i laid there and slipped my hand under the tent and he held it tight for a few hours. i didn't dare fall asleep. i would build and wrangle up a thousand more teepees for a little bit more of that. This is so beautiful. Both the pictures and the idea. Might have to give this a shot. Just gorgeous, Katie. Once again....such a good mama. What do I spy in a little cage resting aside your little Tonto boy??? A pet of some sort? what a beautiful stage, and you are treasuring it perfectly. 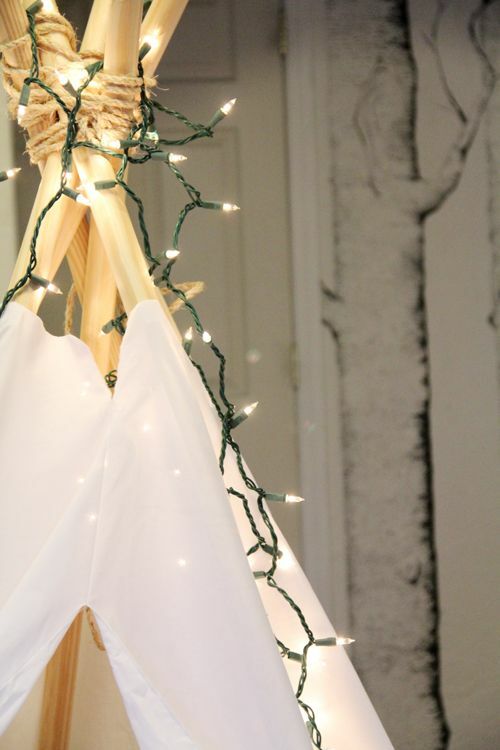 ps i envy your teepee-making skills. mine are for decorative purposes only, as i fear they aren't quite up to code and are liable to collapse on an unsuspecting sleeper. 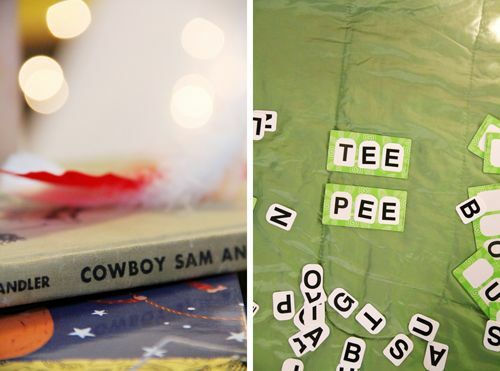 if i had to describe your blog in a word, it would be magical. because i'm pretty sure every time i read your posts i want to say that. this is adorable! your little guy is so lucky to have a mom like you. 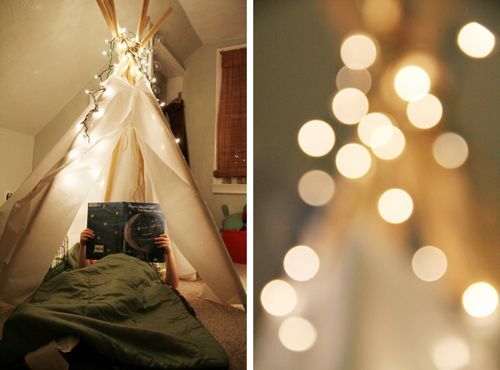 i love teepees. and feathers. 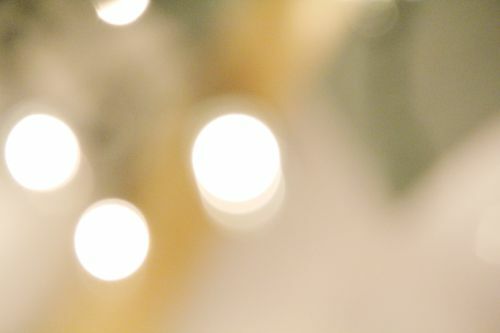 and lights.